Click here for registration forms! 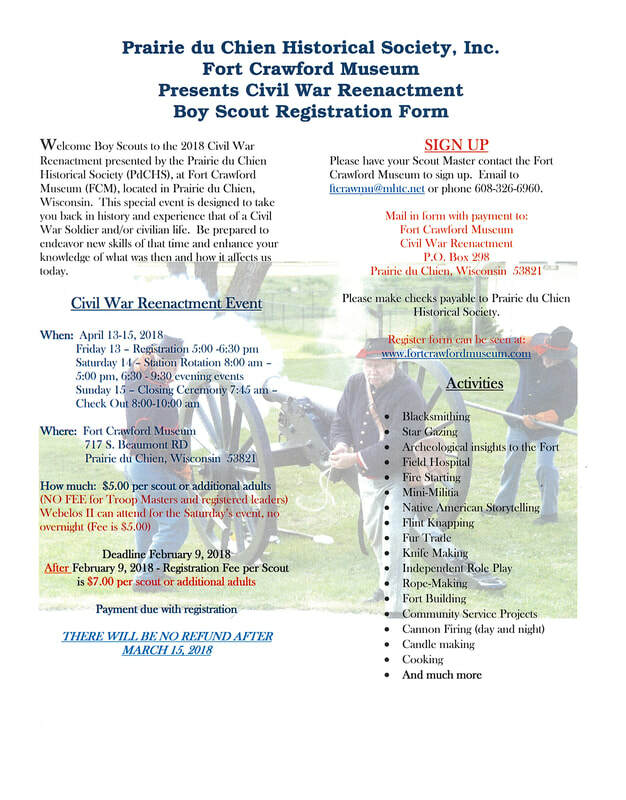 The Boy Scout Civil War Reenactment on April 13-15 is a go! The campsite location has changed. 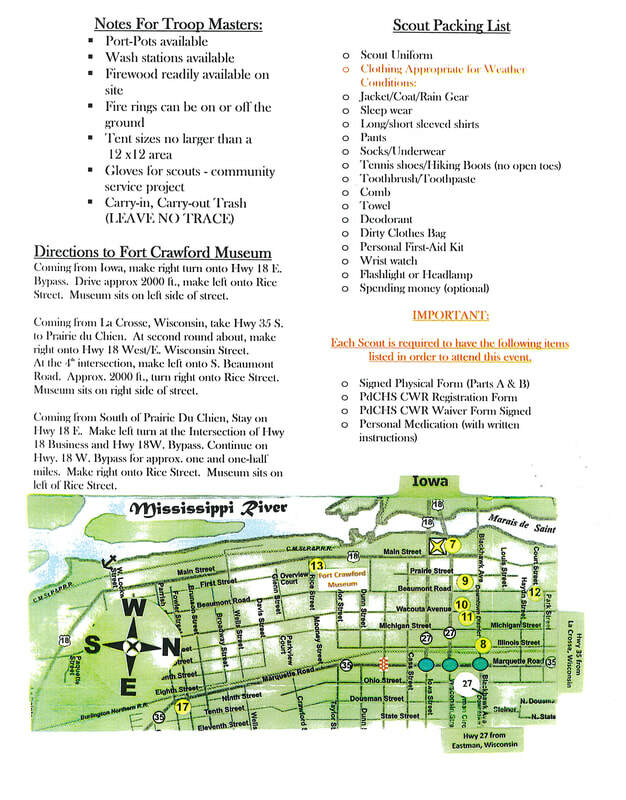 If you have NOT received your e-mail packet of information yet please contact Fort Crawford at ftcrawmu@mhtc.net or 608-326-6960. Please be aware there is construction on HWY 27 and on South Marquette Road. Taking the HWY 18 by-pass around Prairie du Chien is the best way to get to LaRiviere Horse Camp.